On Monday morning, Sunday's pew occupants go to work, where demands and accountability are enforced by performance reviews. 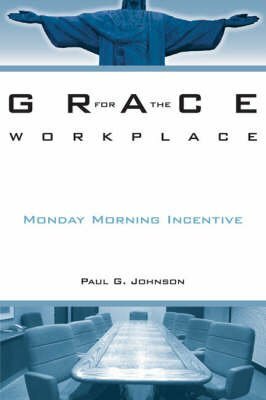 While some corporations have already discovered the benefits of undeserved favour, the desire for more grace in the workplace is becoming a widespread social phenomenon. For clergy readers, this book serves as a catalyst for introducing more grace into sermons, based on scripture and the needs of the average congregation of weekday workers. For lay audiences, be they employers or employees, grace provides an additional reason for getting up in the morning, but for those who attend a church, when grace is related to daily work, faith has someplace to go that counts even when they leave church on Sunday.